An early morning view of the CBD of Auckland, across the water of Waitemata Harbor. New Zealand is blessed with an abundance of beautiful natural spaces and landscapes to make photographers salivate. In one day you can see breathtaking mountain vistas, otherworldly volcanic landscapes, lush forest areas and a world-class coastline. New Zealand is the home of adventure tourism so if you're looking for thrills there is almost no better place on the planet. New Zealand is the home of bungy jumping so why not take a leap at the original Kawarau Bungy site. If that's not enough of a thrill, try kloofing (canyoning) and jump off waterfalls, slide down rocks and scramble through ravines. Skydiving, river rafting and beyond - these are just some of the options you can expect all over the country. Getting out of nature and into the cities of New Zealand doesn't take too much because of their proximity to each other. The cities are modern, well-developed spaces with sheening high rises and skyscrapers, modern architecture and excellent infrastructure. New Zealand has some of the top-rated liveable cities in the world and it's not hard to see why with outstanding culinary, arts and culture and nightlife offerings. New Zealand's history and culture is a story of two very different cultures that have come together despite their differences and produced a unique Kiwi identity and culture. 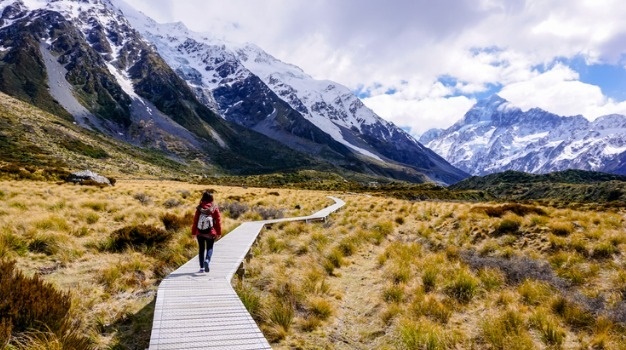 Whether you're enjoying and hangi, some performing arts or a paddle on a traditional boat with the Maori people or exploring the historic cottages and Victorian cities, you can expect a rich cultural experience when visiting New Zealand.